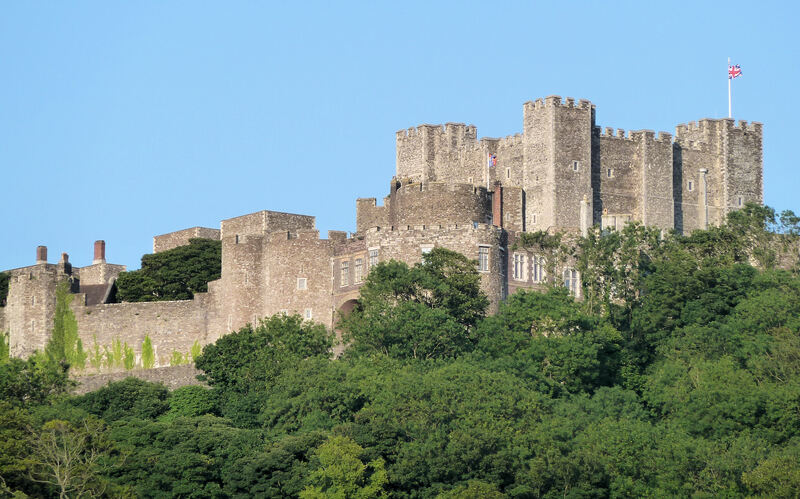 Dover has had a number of dynastic families that have had a lasting influence on the town but perhaps the longest and the only one whose influence is still there for all to see started with Thomas Stokes in the 16th century. 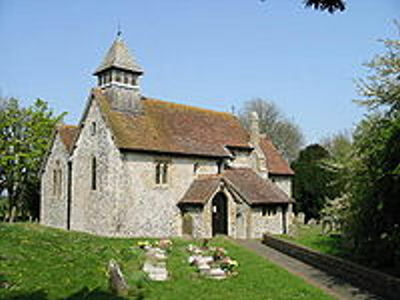 Thomas was christened at St Peter’s Church, Whitfield on 29 November 1590 and married Elizabeth Nethersole on 16 July 1618, at St Mary Bredman, Canterbury. Elizabeth was the daughter of William Nethersole, who had been elected Mayor of Dover in 1603. Three years later, in 1606, with the creation of the Dover Harbour Commission, the town lost its monopoly over the harbour and the town quickly went into economic decline. This became worse as the century progressed. Like many prosperous families of the town, the Nethersoles moved away to live in Canterbury, where William Nethersole opened and ran a successful business. Thomas Stokes served his apprenticeship as a malster for the brewing industry in Dover so the young couple decided to live in the town. Thomas, a Freeman, was appointed a churchwarden of St Mary’s Church. They had several children of which William was their eldest son. He was baptised on 4 April 1624 at St James Church, indicating that the family’s religious inclinations were changing towards the Puritans. Remains of the Old St James Church attended by the Stokes family. As he grew up William was apprenticed to his father and he eventually married local girl, Elizabeth Loper. He probably would have spent the rest of his life grumbling about the continuing decline of Dover but as a staunch Protestant and with the coming of the Civil Wars and the Interregnum (1642–1660), he joined the army of Oliver Cromwell (1599-1658). Cromwell’s strength lay with the military but his naval strength was very weak due to the Admiralty being run by men sympathetic to the Royalist cause. Cromwell therefore encouraged some of his soldiers to become master mariners and he gained power he ordered all the Admiralty ships to be refitted. Cromwell then appointed his own master mariners as Officers of his new Navy. Unlike the Royal Navy, Cromwell made a particular point of avoiding the press-ganging of ratings, which in turn created a great deal of loyalty from the ordinary sailors. As William had taken up Cromwell’s offer of master mariner training he was appointed and eventually was appointed to the command of the pride of Cromwell’s fleet, the Naseby. During this time, William was also elected to the Dover council as a Common Councilman and in 1658, he became a Jurat or senior councillor. Following the death of Cromwell on 3 September 1658, his much weaker son, Richard (1626–1712), succeeded and a power struggle ensued. On 21 February 1660, the Rump Parliament, established following the execution of Charles I (1625-1649), was dissolved and the original Long Parliament of 1642 was reconvened. This dissolved itself on 16 March 1660 and the predominantly Royalist Convention Parliament met on 25 April declaring that Charles II (1649-1685) had been the lawful monarch since the death of his father. Preparations for the King’s Restoration began immediately. On 14 May, Samuel Pepys, the diarist and aid to Sir Edward Montagu, asked the captains of the Fleet – all of whom had been appointed during Oliver Cromwell’s time – if they would object to bringing Charles II back to England. According to Pepys, Sir Edward did not like William and was ready to remove him from his post when he objected. However, William informed his lordship that ‘it was his job to stay at his command’. 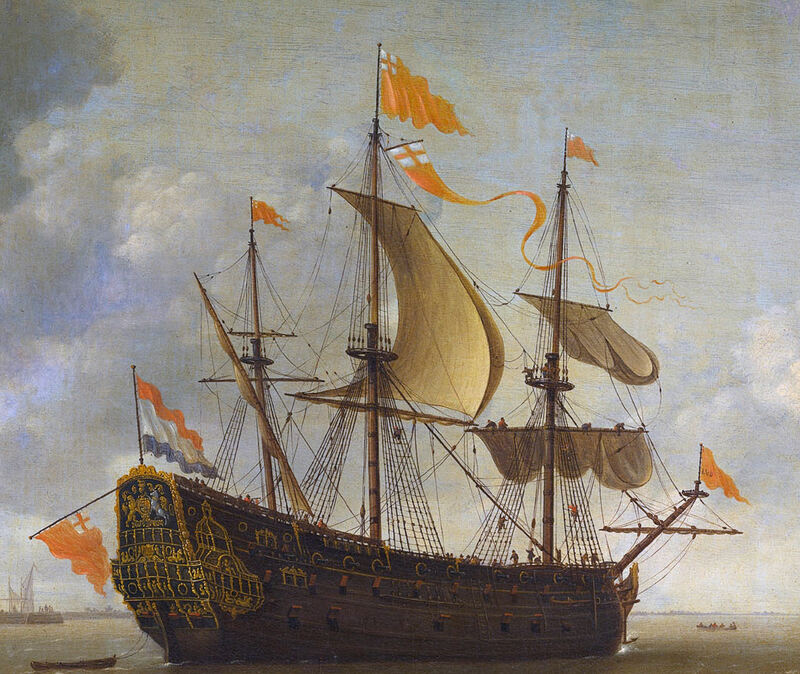 On 25 May Charles II arrived in England, on the Naseby, which he renamed the Royal Charles, with William in command! Although Dover welcomed Charles II, the religious sympathies of the town were Puritan so when Charles II asked for his Royal Arms to be erected in St Mary’s Church, this reluctantly happened after an official demand was made. William returned to Dover as master of his own vessel, working the cross-Channel passage and becoming heavily involved in council affairs. Charles II, before the Reformation had agreed to a limited amount of religious dissension from the Church of England. However, in 1661 the Sedition Act was passed that forbid all those not conforming to the religious services of the established church to be removed from official office. The following year the Mayor, Richard Jacob, a Huguenot, and fifty-six Freemen of Dover were ordered to conform to religious ceremonies. One of these was William. Richard Jacob, twenty-seven Common Council men and seven Jurats refused and were dismissed. William, although at heart a Puritan had learnt when to be quiet and became a member of the Anglican St Mary’s Church. He therefore retained his positions on the council and four years later was elected Mayor. He was subsequently elected Mayor five times. Throughout this time, the religious persecution of Non-Conformists in the town was dreadful but William remained sympathetic to his religious roots and during debates, he argued vociferously for the right to worship as one pleased. Even holding such views was frowned upon and Jurat, John Carlisle, the Clerk to the Passage – an early form of immigration officer, wrote a letter to the Privy Council. It arrived on 21 January 1670 and in it, he said that William was condoning secret and unlawful religious meetings. He went on to cite Samuel Taverner, Richard Matson, Edward Dell, Nathaniel Barry, Anthony Street, and Simon Yorke as those, he alleged, William supported. These men were the key Non-Conformists in the town and the King ordered the Corporation to close all their places of worship. Further, those still refusing to conform to the established Anglican Church were to be punished. Those Carlisle had cited as Non Conformists spent much of the next eighteen years in Dover Castle prison for their beliefs. At the time John Matson, a relative of Richard Matson whom Carlisle had cited, was the Mayor. He had first been elected in 1668 having, contrary to the established rule, made the vote open to all Freemen. The old custom was for the Jurats to select four of their number, and for the Freemen to elect one of them. John was elected Mayor again in 1669 and 1670, by open votes of the Freemen. Another Anglican, Richard Barley, appealed to the Privy Council and while the case was being examined John Carlisle acted as Mayor. The Privy Council supported Richard Barley who was then appointed Mayor. John Matson, along with John Hammond, Arnold Braemes and others, had built houses, warehouses and quays along Strond Street in the Pier District of Dover. Strond Street was reclaimed land and from 1606, when the Dover Harbour Commission, now Dover Harbour Board (DHB) was created, all reclaimed land in the area belonged to them. In 1670, the DHB exerted their rights, commandeered the quays to create Custom House Quay, so named due to the proximity of the Custom House. St Mary’s Church, Cannon Street where elections were held. The Lord Warden also held the position of the chairman of DHB and up until 1668, the combined positions were held by the King’s brother, James the Duke of York – later James II (1685-1688). In 1669 he declared himself a Roman Catholic and under the Test Act was obliged to resign from all offices including Lord Warden/Chairman of DHB and Sir Heneage Finch, 3rd Earl of Winchilsea (1628–1689) was appointed. William was elected Mayor again in 1676 and the pressing need was to reverse the deterioration of Dover’s harbour on which the livelihood of the town depended. He wrote to Charles II, who appeared to respond favourably, saying that William was ‘to report on the limits of the Port of Dover, seaward, and the wharves and quays of the harbour.’ In return, the Barons of the Exchequer asked for the limits of the Port of Dover and also the quays and wharves in the Harbour to be defined. This was carried out but little happened. Two years later, again as Mayor, William wrote about the billeting of soldiers on the towns folk, instead of at the Castle. In his letter, he explained that he was ‘A person of very good conduct and command … extraordinarily well beloved by the all townsfolk.’ This does not appear to have been an idle boast, for in 1679 William was elected as one of the two Dover Members of Parliament. The other candidates in the election were Colonel John Strode, Thomas Papillon and Thomas Teddiman, son of Dover’s Admiral Thomas Teddiman. 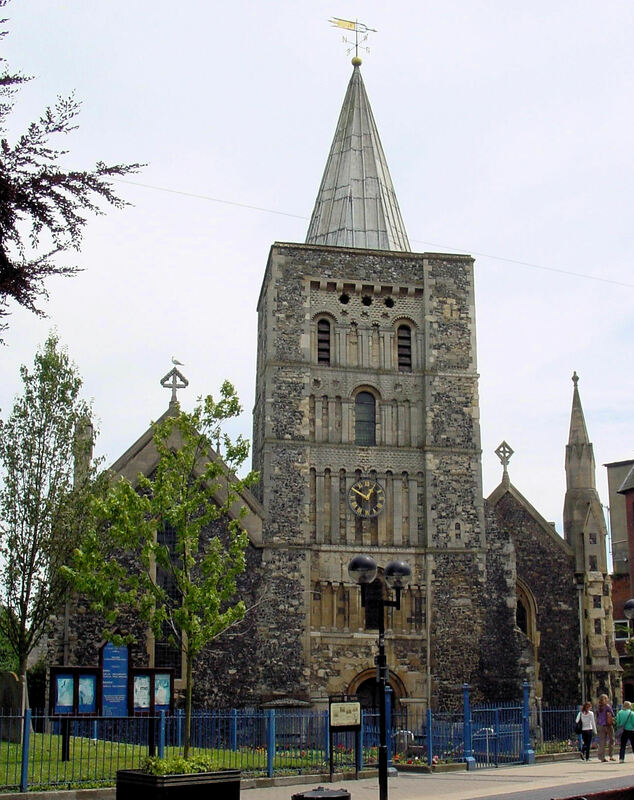 The elections in those days took place within St Mary’s Church. Although Papillon came first with 201 votes and William second with 193 while Teddiman received 121 and Strode 114 he was not elected to parliament. William was the Mayor at the time so the Deputy Mayor was the returning officer. Not wishing to upset the Lord Warden, who had favoured Colonel Strode, the Deputy Mayor returned Papillon and Strode as the parliamentary members. William, however, protested and a second election was held. This time he came first with Papillon second and both were appointed Dover’s MPs. William had been elected to what became known as the Exclusion Parliament that was assembled on 21 October 1680. It was dissolved on 18 January 1681 by Charles II in order to block the Exclusion Bill that if passed, would have excluded James, Duke of York from succeeding to the throne. William had voted for the Exclusion Bill and like his contemporaries, including Papillon, became known as a Whig. The next Parliament was held in Oxford and Assembled on 21 March 1681. Both William and Papillon were elected as Dover’s representatives but neither attended as Parliament only lasted one week. In 1683 and William was again Mayor and Charles II ordered that Dover’s Charter was to be surrendered that had been given by Elizabeth I. The King replaced it with a new one, costing the town £141 19s 8d (£141.8½p). In order to meet this debt, the council was forced to sell valuable property at a knockdown price and this appears to include the site of Newe or Snar Gate. 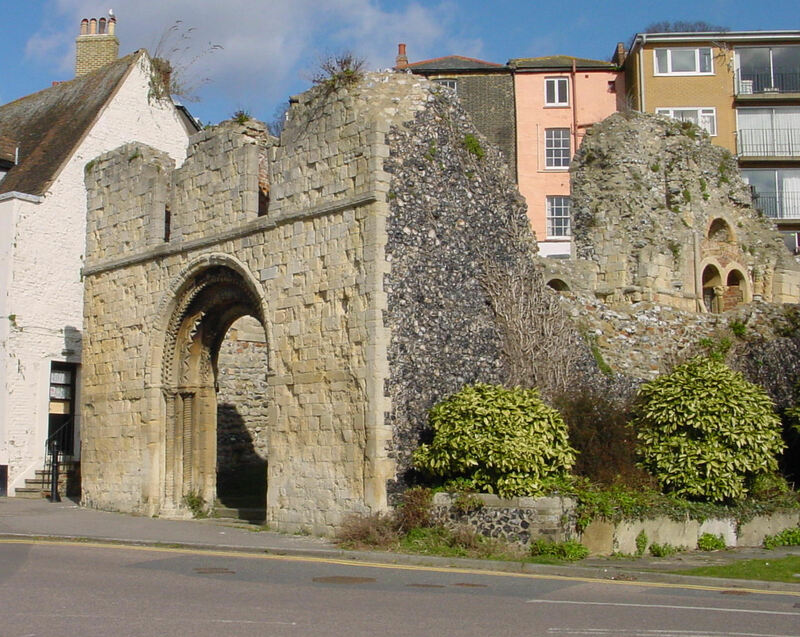 This had been erected in 1596 and following the demolition a stone was erected where the gate had stood that also marked the boundary stone between freehold and leasehold (from Dover Harbour Board) property. Shortly after William was ejected from his office as Mayor and Papillon was forced to seek exile in Holland. Not long after the King died and James II (1685–1688) ascended the throne. Retribution on the town continued and was harsh. By the middle of 1688, James II’s days were numbered and plans were afoot for William of Orange to land at Dover and take over the throne. As the time grew near, about 300 locals took possession of the Castle and remained there all night. The following morning William persuaded them to leave, saying that due to the strong easterly wind William of Orange had continued to sail westward. William was elected Mayor for the seventh time, but was quickly in trouble again! This time for not allowing a press-gang master to operate in Dover! He died on 6 November 1691 and was buried at St Mary’s Church. Crowds lined the streets, to see his coffin carried through the town and pay their respects. This entry was posted in Dynasty of Dover, Part I – The Stokes. Bookmark the permalink.